Times Square is the hub of the Broadway theatre district and a major cultural venue in Midtown Manhattan, New York City. The pedestrian intersection also has one of the highest annual attendance rates of any tourist attraction in the world, estimated at 60 million. Tourism is travel for pleasure or business; also the theory and practice of touring, the business of attracting, accommodating, and entertaining tourists, and the business of operating tours. 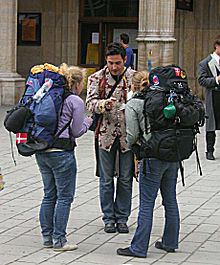 Tourism may be international, or within the traveller's country. The World Tourism Organization defines tourism more generally, in terms which go "beyond the common perception of tourism as being limited to holiday activity only", as people "traveling to and staying in places outside their usual environment for not more than one consecutive year for leisure and not less than 24 hours, business and other purposes". Tourism can be domestic or international, and international tourism has both incoming and outgoing implications on a country's balance of payments. Tourism suffered as a result of a strong economic slowdown of the late-2000s recession, between the second half of 2008 and the end of 2009, and the outbreak of the H1N1 influenza virus, but slowly recovered. International tourism receipts (the travel item in the balance of payments) grew to US$1.03 trillion (€740 billion) in 2005, corresponding to an increase in real terms of 3.8% from 2010. International tourist arrivals surpassed the milestone of 1 billion tourists globally for the first time in 2012, emerging markets such as China, Russia, and Brazil had significantly increased their spending over the previous decade. The ITB Berlin is the world's leading tourism trade fair. Global tourism accounts for ca. 8% of global greenhouse gas emissions. The word tourist was used in 1772 and tourism in 1811. It is formed from the word tour, which is derived from Old English turian, from Old French torner, from Latin tornare; 'to turn on a lathe,' which is itself from Ancient Greek tornos (τόρνος); 'lathe'. Strandkorb chairs on Usedom Island, Germany. Not only does the service sector grow because of tourism, but also local manufacturers (like those producing the strandkorb chairs), retailers, the real-estate sector and the general image of a location can benefit. Tourism has become an important source of income for many regions and even entire countries. The Manila Declaration on World Tourism of 1980 recognized its importance as "an activity essential to the life of nations because of its direct effects on the social, cultural, educational, and economic sectors of national societies and on their international relations." Tourism brings large amounts of income into a local economy in the form of payment for goods and services needed by tourists, accounting as of 2011[update] for 30% of the world's trade in services, and for 6% of overall exports of goods and services. It also generates opportunities for employment in the service sector of the economy associated with tourism. The hospitality industries which benefit from tourism include transportation services (such as airlines, cruise ships, trains and taxicabs); hospitality services (such as accommodations, including hotels and resorts); and entertainment venues (such as amusement parks, restaurants, casinos, shopping malls, music venues, and theaters). This is in addition to goods bought by tourists, including souvenirs. On the flip-side, tourism can degrade people and sour relationships between host and guest. In 1941, Hunziker and Kraft defined tourism as "the sum of the phenomena and relationships arising from the travel and stay of non-residents, insofar as they do not lead to permanent residence and are not connected with any earning activity." In 1976, the Tourism Society of England's definition was: "Tourism is the temporary, short-term movement of people to destinations outside the places where they normally live and work and their activities during the stay at each destination. It includes movements for all purposes." In 1981, the International Association of Scientific Experts in Tourism defined tourism in terms of particular activities chosen and undertaken outside the home. The World Tourism Organization reports the following ten destinations as the most visited in terms of the number of international travelers in 2017. Travel outside a person's local area for leisure was largely confined to wealthy classes, who at times traveled to distant parts of the world, to see great buildings and works of art, learn new languages, experience new cultures, and to taste different cuisines. As early as Shulgi, however, kings praised themselves for protecting roads and building way stations for travelers. Travelling for pleasure can be seen in Egypt as early on as 1500 B.C. During the Roman Republic, spas and coastal resorts such as Baiae were popular among the rich. Pausanias wrote his Description of Greece in the 2nd century AD. In ancient China, nobles sometimes made a point of visiting Mount Tai and, on occasion, all five Sacred Mountains. By the Middle Ages, Christianity and Buddhism had traditions of pilgrimage. 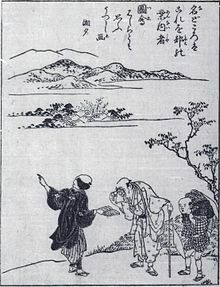 Chaucer's Canterbury Tales and Wu Cheng'en's Journey to the West remain classics of English and Chinese literature. The 10th- to 13th-century Song dynasty also saw secular travel writers such as Su Shi (11th century) and Fan Chengda (12th century) become popular in China. Under the Ming, Xu Xiake continued the practice. In medieval Italy, Francesco Petrarch also wrote an allegorical account of his 1336 ascent of Mount Ventoux that praised the act of traveling and criticized frigida incuriositas ("cold lack of curiosity"). The Burgundian poet Michault Taillevent [fr] later composed his own horrified recollections of a 1430 trip through the Jura Mountains. Modern tourism can be traced to what was known as the Grand Tour, which was a traditional trip around Europe (especially Germany and Italy), undertaken by mainly upper-class European young men of means, mainly from Western and Northern European countries. In 1624, young Prince of Poland, Ladislaus Sigismund Vasa, the eldest son and heir of Sigismund III, embarked for a journey across Europe, as was in custom among Polish nobility. He travelled through territories of today's Germany, Belgium, Netherlands, where he admired the Siege of Breda by Spanish forces, France, Switzerland to Italy, Austria, and the Czech Republic. It was an educational journey and one of the outcomes was introduction of Italian opera in the Polish–Lithuanian Commonwealth. The custom flourished from about 1660 until the advent of large-scale rail transit in the 1840s, and generally followed a standard itinerary. It was an educational opportunity and rite of passage. Though primarily associated with the British nobility and wealthy landed gentry, similar trips were made by wealthy young men of Protestant Northern European nations on the Continent, and from the second half of the 18th century some South American, US, and other overseas youth joined in. The tradition was extended to include more of the middle class after rail and steamship travel made the journey easier, and Thomas Cook made the "Cook's Tour" a byword. The Grand Tour became a real status symbol for upper class students in the 18th and 19th centuries. In this period, Johann Joachim Winckelmann's theories about the supremacy of classic culture became very popular and appreciated in the European academic world. 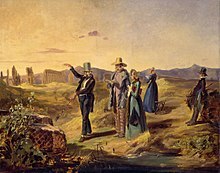 Artists, writers and travellers (such as Goethe) affirmed the supremacy of classic art of which Italy, France and Greece provide excellent examples. For these reasons, the Grand Tour's main destinations were to those centres, where upper-class students could find rare examples of classic art and history. —  Gross, Matt., Lessons From the Frugal Grand Tour." New York Times 5 September 2008. 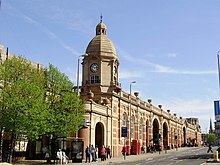 Leicester railway station – built in 1894 to replace, largely on the same site, Campbell Street station, the origin for many of Cook's early tours. A pioneer of the travel agency business, Thomas Cook's idea to offer excursions came to him while waiting for the stagecoach on the London Road at Kibworth. With the opening of the extended Midland Counties Railway, he arranged to take a group of 540 temperance campaigners from Leicester Campbell Street station to a rally in Loughborough, eleven miles (18 km) away. On 5 July 1841, Thomas Cook arranged for the rail company to charge one shilling per person; this included rail tickets and food for the journey. Cook was paid a share of the fares charged to the passengers, as the railway tickets, being legal contracts between company and passenger, could not have been issued at his own price. [clarification needed] This was the first privately chartered excursion train to be advertised to the general public; Cook himself acknowledged that there had been previous, unadvertised, private excursion trains. During the following three summers he planned and conducted outings for temperance societies and Sunday school children. In 1844 the Midland Counties Railway Company agreed to make a permanent arrangement with him, provided he found the passengers. This success led him to start his own business running rail excursions for pleasure, taking a percentage of the railway fares. In 1855, he planned his first excursion abroad, when he took a group from Leicester to Calais to coincide with the Paris Exhibition. The following year he started his "grand circular tours" of Europe. During the 1860s he took parties to Switzerland, Italy, Egypt and the United States. Cook established "inclusive independent travel", whereby the traveller went independently but his agency charged for travel, food and accommodation for a fixed period over any chosen route. Such was his success that the Scottish railway companies withdrew their support between 1862 and 1863 to try the excursion business for themselves. Cruising is a popular form of water tourism. Leisure cruise ships were introduced by the Peninsular & Oriental Steam Navigation Company (P&O) in 1844, sailing from Southampton to destinations such as Gibraltar, Malta and Athens. In 1891, German businessman Albert Ballin sailed the ship Augusta Victoria from Hamburg into the Mediterranean Sea. June 29, 1900 saw the launching of the first purpose-built cruise ship was Prinzessin Victoria Luise, built in Hamburg for the Hamburg America Line. Academics have defined mass tourism as travel by groups on pre-scheduled tours, usually under the organization of tourism professionals. This form of tourism developed during the second half of the 19th century in the United Kingdom and was pioneered by Thomas Cook. Cook took advantage of Europe's rapidly expanding railway network and established a company that offered affordable day trip excursions to the masses, in addition to longer holidays to Continental Europe, India, Asia and the Western Hemisphere which attracted wealthier customers. By the 1890s over 20,000 tourists per year used Thomas Cook & Son. 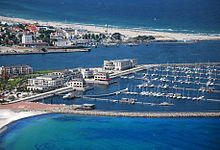 By the mid-20th century the Mediterranean Coast became the principal mass tourism destination. The 1960s and 1970s saw mass tourism play a major role in the Spanish economic "miracle". Other terms used for niche or specialty travel forms include the term "destination" in the descriptions, such as destination weddings, and terms such as location vacation. Major ski resorts are located mostly in the various European countries (e.g. Andorra, Austria, Bulgaria, Bosnia-Herzegovina, Croatia, Czech Republic, Cyprus, Finland, France, Germany, Greece, Iceland, Italy, Norway, Latvia, Lithuania, Poland, Romania, Serbia, Sweden, Slovakia, Slovenia, Spain, Switzerland, Turkey), Canada, the United States (e.g. Montana, Utah, Colorado, California, Wyoming, Vermont, New Hampshire, New York) Argentina, New Zealand, Japan, South Korea, Chile, and Lebanon. Some places that already have ski opportunities can also have glaciers in the area. Some of these places already offer a glacier hike to see the glaciers in another way that they can. One of these places is New Zealand; New Zealand has several glaciers that are available for this experience. The Franz Josef is one of these glaciers that tourism is available. The only way to get to the glacier is via a helicopter. Before helicopters were invented the way that people were able to get up to the glacier was by hiking up to the glacier. The companies have to make sure that people are safe when they are on the glacier. This would fall under environmental tourism as well as winter tourism. The developments in air transport infrastructure, such as jumbo jets, low-cost airlines, and more accessible airports have made many types of tourism more affordable. The WHO estimated in 2009 that there are around half a million people on board aircraft at any given time. There have also been changes in lifestyle, for example some retirement-age people sustain year round tourism. This is facilitated by internet sales of tourist services. Some sites have now started to offer dynamic packaging, in which an inclusive price is quoted for a tailor-made package requested by the customer upon impulse. An important part of sustainable tourism is something known as the three pillars of sustainability which include Economic, Environmental/Ecological and Socio-cultural. For a destination to be truly sustainable it must have an equal balance among the three pillars. Economic is in relation to money and making and maintaining a certain amount of cash. Environmental is of course in relation to the environment it looks into whether the local ecosystems can support the influx of visitors and also how these visitors effect the ecosystem. Then finally Socio-cultural is about how well the culture of this area is able to maintain its traditions with the incoming tourists. These pillars are important because they are the true key to being sustainable when discussing tourism. Sustainable tourism can be seen as having regard to ecological and social-cultural carrying capacities and includes involving the community of the destination in tourism development planning (that was done e.g. in Fruška Gora National Park in Serbia). It also involves integrating tourism to match current economic and growth policies so as to mitigate some of the negative economic and social impacts of 'mass tourism'. Murphy (1985) advocates the use of an 'ecological approach', to consider both 'plants' and 'people' when implementing the sustainable tourism development process. This is in contrast to the 'boosterism' and 'economic' approaches to tourism planning, neither of which consider the detrimental ecological or sociological impacts of tourism development to a destination. However, Butler questions the exposition of the term 'sustainable' in the context of tourism, citing its ambiguity and stating that "the emerging sustainable development philosophy of the 1990s can be viewed as an extension of the broader realization that a preoccupation with economic growth without regard to its social and environmental consequences is self-defeating in the long term." Thus 'sustainable tourism development' is seldom considered as an autonomous function of economic regeneration as separate from general economic growth. The movie tourism is a form of tourism for those who visit the film and television locations, i.e. the places used for filming a film or a television series. In addition to organized tours (and not) to film locations lately has widened the tendency to a type of tourism, linked to the cinema, which relates to events, conventions and more like the case of the Dizionario del Turismo Cinematografico. The Dizionario del Turismo Cinematografico is an artistic costume movement originally born as a journalistic column on various online and paper publications officially in 2012 (with a genesis formed in the previous decade) but, in the following years, it has become a real costume fashion popularized in sites, associations, institutions, municipal administrations, political parties, movements and television listings all over the world. It also includes Museums and Sports Groups linked to its brand. The purpose of the work is varied: from the redevelopment of territorial areas thanks to the artistic interest raised to be film and fiction locations (Movie tourism) to promote events linked to the Cinema as film anniversaries, festivals, parties to theme (Toga Party, Monster Party, Cosplay Party, Hollywood Party, Pajamas Party, etc. ), manifestations born in films or that the cinema has helped to divulge (though already existing) as, for example, the Demolition Derby, village festivals disseminated by the Cinema (such as those appearing in the Mondo Cane film series, etc.). We wanted to differentiate from Movie Tourism (a fashion that has existed for several decades) to be more varied and not limited to tourism (that is a part of the Dizionario del Turismo Cinematografico). In the mid-2000s, the student of video advertising and journalistic communications at the Turin branch of the Fellini Institute Davide Lingua (called Dave Lingua), obsessed with customary phenomena, has in mind to create a totally new object to redevelop areas territories hit by the crisis but fun and that leads to fashion accessible to all. This is the genesis for the creation of the Dizionario del Turismo Cinematografico. A few years later (between 2010, the beginning of the collaboration, and 2012) creates with this name a column (which initially deals with Cine tourism, Cinema Museums and Costume Party with a cinematic theme) within the site (in that period related to the homonymous paper magazine) of the Milan group Mondadori filmtv.it which soon became the most popular of the magazine with a myriad of collaborators. In the following period the Dizionario del Turismo Cinematografico appears as a column in various newspapers and magazines (the Netweek group, La Voce, is mentioned in La Stampa and many other newspapers) and officially appears as a cultural movement that gives full freedom to all to join simply using the Dizionario del Turismo Cinematografico (respecting however the topics of interest of the movement) coming to create totally independent sections (but always within legally registered bodies or associations), with their own statutes and directives but with only provided that the official founder (helped at the beginning by the first members) Davide Lingua is recognized as Permanent Director for life (in fact director and not president because he wants to underline the journalistic origin of the project). Volunteer tourism (or voluntourism) is growing as a largely Western phenomenon, with volunteers travelling to aid those less fortunate than themselves in order to counter global inequalities. Wearing (2001) defines volunteer tourism as applying "to those tourists who, for various reasons, volunteer in an organised way to undertake holidays that might involve aiding or alleviating the material poverty of some groups in society". VSO was founded in the UK in 1958 and the US Peace Corps was subsequently founded in 1960. These were the first large scale voluntary sending organisations, initially arising to modernise less economically developed countries, which it was hoped would curb the influence of communism. Pro-poor tourism, which seeks to help the poorest people in developing countries, has been receiving increasing attention by those involved in development; the issue has been addressed through small-scale projects in local communities and through attempts by Ministries of Tourism to attract large numbers of tourists. Research by the Overseas Development Institute suggests that neither is the best way to encourage tourists' money to reach the poorest as only 25% or less (far less in some cases) ever reaches the poor; successful examples of money reaching the poor include mountain-climbing in Tanzania and cultural tourism in Luang Prabang, Laos. There is also the possibility of pro-poor tourism principles being adopted in centre sites of regeneration in the developed world. When there is a significant price difference between countries for a given medical procedure, particularly in Southeast Asia, India, Eastern Europe, Cuba and Canada where there are different regulatory regimes, in relation to particular medical procedures (e.g. dentistry), traveling to take advantage of the price or regulatory differences is often referred to as "medical tourism". This type of tourism is focused tourists coming into a region to either participate in an event or to see an organized event put on by the city/region. This type of tourism can also fall under sustainable tourism as well and companies that create a sustainable event to attend open up a chance to not only the consumer but their workers to learn and develop from the experience. Creating a sustainable atmosphere it creates a chance to inform and encourage sustainable practices. An example of event tourism would be the music festival South by Southwest that is hosted in Austin, Texas annually. This is a perfect example because very year people from all over the world flock to this one city for one week to sit in on technology talks and see a whole city of bands perform. These people are being drawn here to experience something that they are not able to experience in their hometown which is exactly what event tourism is about. More recently, creative tourism has gained popularity as a form of cultural tourism, drawing on active participation by travelers in the culture of the host communities they visit. Several countries offer examples of this type of tourism development, including the United Kingdom, Austria, France, the Bahamas, Jamaica, Spain, Italy, New Zealand and South Korea. Experiential travel (or "immersion travel") is one of the major market trends in the modern tourism industry. It is an approach to travelling which focuses on experiencing a country, city or particular place by connecting to its history, people, food and culture. The term "experiential travel" has been mentioned in publications since 1985, but it wasn't discovered as a meaningful market trend until much later. One emerging area of special interest has been identified by Lennon and Foley (2000) as "dark" tourism. This type of tourism involves visits to "dark" sites, such as battlegrounds, scenes of horrific crimes or acts of genocide, for example concentration camps. Its origins are rooted in fairgrounds and medieval fairs. Philip Stone argues that dark tourism is a way of imagining one's own death through the real death of others. Erik H Cohen introduces the term "populo sites" to evidence the educational character of dark tourism. Populo sites transmit the story of victimized people to visitors. Based on a study at Yad Vashem, the Shoah (Holocaust) memorial museum in Jerusalem, a new term—in populo—is proposed to describe dark tourism sites at a spiritual and population center of the people to whom a tragedy befell. Learning about the Shoah in Jerusalem offers an encounter with the subject which is different from visits to sites in Europe, but equally authentic. It is argued that a dichotomy between "authentic" sites at the location of a tragedy and "created" sites elsewhere is insufficient. Participants' evaluations of seminars for European teachers at Yad Vashem indicate that the location is an important aspect of a meaningful encounter with the subject. Implications for other cases of dark tourism at in populo locations are discussed. In this vein, Peter Tarlow defines dark tourism as the tendency to visit the scenes of tragedies or historically noteworthy deaths, which continue to impact our lives. This issue cannot be understood without the figure of trauma. Social tourism is making tourism available to poor people who otherwise could not afford to travel for their education or recreation. It includes youth hostels and low-priced holiday accommodation run by church and voluntary organisations, trade unions, or in Communist times publicly owned enterprises. In May 1959, at the second Congress of Social Tourism in Austria, Walter Hunziker proposed the following definition: "Social tourism is a type of tourism practiced by low income groups, and which is rendered possible and facilitated by entirely separate and therefore easily recognizable services". Also known as "Tourism of Doom," or "Last Chance Tourism" this emerging trend involves traveling to places that are environmentally or otherwise threatened (such as the ice caps of Mount Kilimanjaro, the melting glaciers of Patagonia, or the coral of the Great Barrier Reef) before it is too late. Identified by travel trade magazine Travel Age West editor-in-chief Kenneth Shapiro in 2007 and later explored in The New York Times, this type of tourism is believed to be on the rise. Some see the trend as related to sustainable tourism or ecotourism due to the fact that a number of these tourist destinations are considered threatened by environmental factors such as global warming, overpopulation or climate change. Others worry that travel to many of these threatened locations increases an individual's carbon footprint and only hastens problems threatened locations are already facing. St. Peter's Basilica in Vatican City, the papal enclave within the Italian city of Rome - one of the largest religious-tourism sites in the world. Religious tourism, in particular pilgrimage, can serve to strengthen faith and to demonstrate devotion - both of which are central tenets of many major religions. 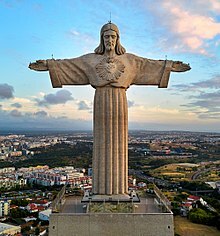 [need quotation to verify] Religious tourists may seek destinations whose image encourages them to believe that they can strengthen the religious elements of their self-identity in a positive manner. Given this, the perceived image of a destination may be positively influenced by whether it conforms to the requirements of their religious self-identity or not. Excessive hordes of visitors - or of the wrong sort of visitors - can provoke backlashes from otherwise friendly hosts in popular destinations. Since the late 1980s, sports tourism has become increasingly popular. Events such as rugby, Olympics, Commonwealth Games, and FIFA World Cups have enabled specialist travel companies to gain official ticket allocation and then sell them in packages that include flights, hotels and excursions. Cultural tourism: Tourists outside a Geghard monastery in Armenia, 2015. ^ Rachel Sugar (19 December 2016). "More tourists visited NYC in 2016 than ever before". Vox Media. Retrieved 24 April 2018. ^ a b "UNWTO technical manual: Collection of Tourism Expenditure Statistics" (PDF). World Tourism Organization. 1995. p. 10. Archived from the original (PDF) on 22 September 2010. Retrieved 26 March 2009. ^ a b "International tourism challenged by deteriorating global economy" (PDF). UNWTO World Tourism Barometer. 7 (1). January 2009. Archived from the original (PDF) on 17 October 2013. Retrieved 17 November 2011. ^ a b "UNWTO World Tourism Barometer Interim Update" (PDF). UNWTO World Tourism Barometer. August 2010. Archived from the original (PDF) on 17 October 2013. Retrieved 17 November 2011. ^ a b c UNWTO Tourism Highlights: 2017 Edition. World Tourism Organization (UNWTO). 1 July 2017. doi:10.18111/9789284419029. ISBN 978-92-844-1902-9. ^ a b "UNWTO World Tourism Barometer" (PDF). UNWTO World Tourism Barometer. 11 (1). January 2013. Archived from the original (PDF) on 28 February 2013. Retrieved 9 April 2013. ^ "China – the new number one tourism source market in the world". World Tourism Organization. 4 April 2013. Retrieved 9 April 2013. ^ "ITB Berlin: The World's Leading Travel Trade Show". www.expodatabase.com. M+A Expo Database. Retrieved 13 September 2016. ^ Griffiths, Ralph; Griffiths, G.E. (1772). "Pennant's Tour in Scotland in 1769". The Monthly Review, Or, Literary Journal. 46: 150. Retrieved 23 December 2011. ^ Harper, Douglas. "tour (n.)". Online Etymology Dictionary. Retrieved 23 December 2011. ^ "Online Etymology Dictionary". etymonline.com. Retrieved 2 June 2016. ^ Manila Declaration on World Tourism (PDF). World Tourism Conference. Manila, Philippines. 10 October 1980. pp. 1–4. Archived from the original (PDF) on 20 November 2012. ^ "2012 Tourism Highlights" (PDF). UNWTO. June 2012. Archived from the original (PDF) on 9 July 2012. Retrieved 17 June 2012. ^ Smith, Melanie K. (2003). Issues in Cultural Tourism Studies. Tourism / Routledge. London: Routledge. p. 50. ISBN 978-0-415-25638-4. Retrieved 30 May 2018. The globalisation of tourism has partially exacerbated the relationships of inequality and subservience that are so commonplace in host–guest encounters. It is not simply enough for local people to accept their role as servants, guides or companions to a range of ever-changing tourists. They are also confronted increasingly by the luxurious global products of Western indulgence which remain far from their reach, rather like the thirsty Tantalus in his elusive pool of water. ^ Theobald, William F. (1998). Global Tourism (2nd ed.). Oxford [England]: Butterworth–Heinemann. pp. 6–7. ISBN 978-0-7506-4022-0. OCLC 40330075. ^ Hunziker, W; Krapf, K (1942). Grundriß Der Allgemeinen Fremdenverkehrslehre (in German). Zurich: Polygr. Verl. OCLC 180109383. ^ Spode, Hasso (1998). "Geschichte der Tourismuswissenschaft". In Haedrich, Günther (ed.). Tourismus-management: Tourismus-marketing Und Fremdenverkehrsplanung (in German). Berlin: [u.a.] de Gruyter. ISBN 978-3-11-015185-5. OCLC 243881885. ^ Beaver, Allan (2002). A Dictionary of Travel and Tourism Terminology. Wallingford: CAB International. p. 313. ISBN 978-0-85199-582-3. OCLC 301675778. ^ International Association of Scientific Experts in Tourism. "The AIEST, its character and aims". Archived from the original on 26 November 2011. Retrieved 29 March 2008. ^ "Recommendations on Tourism Statistics" (PDF). Statistical Papers. M (83): 5. 1994. Retrieved 12 July 2010. 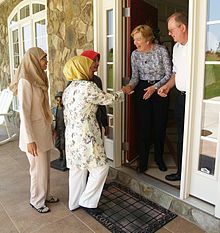 ^ Edensor, Tim (1998). Tourists at the Taj: Performance and Meaning at a Symbolic Site. Psychology Press. ISBN 978-0-415-16712-3. ^ a b c "Member States – Regional Programme for Europe". ^ UNWTO Tourism Highlights: 2018 Edition. World Tourism Organization (UNWTO). 24 August 2018. doi:10.18111/9789284419876. ISBN 9789284419876. ^ a b 2016 Tourism Highlights. World Tourism Organization. 2017. doi:10.18111/9789284419029. ISBN 978-92-844-1902-9. ^ "World's most visited cities". CNN. 3 December 2018. ^ "Top 100 City Destinations Ranking". Euromonitor International. 27 December 2018. ^ "Which Countries Performed Best In 2016?" (PDF). p. 7. ^ Jayapalan, N. (2001). Introduction To Tourism. Atlantic Publishers & Dist. ISBN 978-81-7156-977-9. ^ Casson, Lionel (1994). Travel in the Ancient World. Baltimore: Johns Hopkins University Press. p. 32. ^ Hargett, James. "Some Preliminary Remarks on the Travel Records of the Song Dynasty (960-1279)" in Chinese Literature: Essays, Articles, Reviews, Vol. 7, No. 1/2, pp. 67–93. 1985. doi:10.2307/495194. JSTOR 495194. ^ Deschaux, Robert; Taillevent, Michault (1975). Un poète bourguignon du XVe siècle, Michault Taillevent: édition et étude. Librairie Droz. pp. 31–32. ISBN 978-2-600-02831-8. ^ Adam Kucharski. "Dyplomacja i turystyka – królewicz Władysław Waza w posiadłościach hiszpańskich (1624–1625)". Silva Rerum. Retrieved 7 June 2017. ^ a b Singh, L.K. (2008). "Issues in Tourism Industry". Fundamental of Tourism and Travel. Delhi: Isha Books. p. 189. ISBN 978-81-8205-478-3. ^ "History: Centuries of Experience". Cox & Kings. Retrieved 23 December 2011. ^ "Thomas Cook History". www.thomascook.com. Retrieved 12 May 2017. ^ "Key Dates 1841–2014 | Thomas Cook". www.thomascook.com. Retrieved 12 May 2017. ^ "Ccruise News". June 2012. Retrieved 17 December 2012. ^ "The Prinzessin Victoria Luise – world's first cruise ship". Cruising the Past. Retrieved 12 August 2018. ^ Lew, Alan A. (2008). "Long Tail Tourism: New geographies for marketing niche tourism products" (PDF). Journal of Travel & Tourism Marketing. 25 (3–4): 409–19. CiteSeerX 10.1.1.467.6320. doi:10.1080/10548400802508515. Archived from the original (PDF) on 14 June 2010. Retrieved 22 December 2011. ^ "Birthplace of winter tourism". Archived from the original on 17 October 2013. ^ "Early Winter Tourism". Tradition & History. St. Moritz: Kulm Hotel. Archived from the original on 19 December 2011. Retrieved 23 December 2011. ^ "Winter hiking in Switzerland-Graubünden". graubuenden.ch. Retrieved 23 December 2011. ^ Purdie, Heather (1 November 2013). "Glacier Retreat and Tourism: Insights from New Zealand". Mountain Research and Development. 33 (4): 463–72. doi:10.1659/MRD-JOURNAL-D-12-00073.1. ISSN 0276-4741. ^ a b c Clare., Inkson (2012). Tourism management : an introduction. Minnaert, Lynn. Los Angeles: Sage. ISBN 978-1-84860-869-6. OCLC 760291882. ^ "India Top Tourist Destinations & Attractions". TravelCupio. Retrieved 9 April 2017. ^ Marx, Patricia. "Couch-surfing the globe". The New Yorker. Retrieved 15 March 2014. ^ Cadene, Philippe (2013). Atlas of the Gulf States. p. 29. ^ "Sustainable Tourism: Turning the Tide" (PDF). Towards Earth Summit 2002. Stakeholder Forum for a Sustainable Future. August 2002. Retrieved 22 January 2012. ^ "Resolution adopted by the General Assembly". 42/187. Report of the World Commission on Environment and Development. The Conference of NGOs. 11 December 1987. Retrieved 21 January 2012. ^ Vujko, Aleksandra; Plavša, Jovan; Petrović, Marko; Radovanović, Milan; Gajić, Tamara (13 March 2017). "Modelling of carrying capacity in National Park – Fruška Gora (Serbia) case study". Open Geosciences. 9 (1): 61–72. doi:10.1515/geo-2017-0005. ISSN 2391-5447. ^ "Morgan Gamble". Pinterest. Retrieved 9 June 2015. 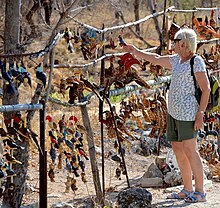 ^ Volunteer Tourism: Experiences That Make a Difference. CABI. ^ Butcher, J; Smith, P (2010). "'Making a difference': Volunteer tourism and development". Tourism Recreation Research. 35: 27–36. doi:10.1080/02508281.2010.11081616. ^ Terry, W (2014). "Solving labor problems and building capacity unsustainable agriculture through volunteer tourism". Annals of Tourism Research. 49: 94–107. doi:10.1016/j.annals.2014.09.001. ^ Guttentag, D (2009). "The possible negative impacts of volunteer tourism". International Journal of Tourism Research. 11 (6): 537–51. doi:10.1002/jtr.727. ^ Curran, Ross; Taheri, Babak; MacIntosh, Robert; O'Gorman, Kevin (2016). "Nonprofit Brand Heritage: Its Ability to Influence Volunteer Retention, Engagement, and Satisfaction". Nonprofit and Volutary Sector Quarterly. 45 (6): 1234–57. doi:10.1177/0899764016633532. ^ Thompson, Jamie; Curran, Ross; O'Gorman, Kevin (2017). "A modern day panopticon: Using power and control theory to manage volunteer tourists in Bolivia". Tourism Management Perspectives. 22: 34–43. doi:10.1016/j.tmp.2017.01.003. hdl:10373/2606. ^ Jonathan Mitchel (2009). "Value chain analysis and poverty reduction at scale". Overseas Development Institute. ^ Butler, Richard; Curran, Ross; O'Gorman, Kevin D. (1 September 2013). "Pro-Poor Tourism in a First World Urban Setting: Case Study of Glasgow Govan". International Journal of Tourism Research. 15 (5): 443–57. doi:10.1002/jtr.1888. ISSN 1522-1970. ^ Neuman, William (17 February 2015). "Americans May See Appeal of Medical Tourism in Cuba". The New York Times. ISSN 0362-4331. Retrieved 12 September 2016. ^ "Evolving medical tourism in Canada | Deloitte Canada". Deloitte Canada. Retrieved 12 September 2016. ^ a b Wurzburger, Rebecca; et al. (2009). Creative Tourism: A Global Conversation: How to Provide Unique Creative Experiences for Travelers Worldwide: As Presented at the 2008 Santa Fe & UNESCO International Conference on Creative Tourism in Santa Fe, New Mexico, USA. Santa Fe: Sunstone Press. ISBN 978-0-86534-724-3. OCLC 370387178. ^ Lau, Samantha (14 November 2016). "Legislative Council of the Hong Kong Special Administrative Region – Creative tourism". Legislative Council of Hong Kong. ^ Charlie Mansfield Lecturer in Tourism Management and French. "JTCaP Tourism Consumption Online Journal". Tourismconsumption.org. Archived from the original on 15 April 2013. Retrieved 10 August 2013. ^ Bellafante, Ginia (6 July 2012). "Your Home, the New Frontier for Tourists in New York City" – via NYTimes.com. ^ Gattorna, John (1985). Insights in Strategic Retail Management. ISBN 9780861762378. Retrieved 9 June 2015. ^ Quinion, Michael (26 November 2005). "Dark Tourism". World Wide Words. Retrieved 9 April 2010. ^ Lennon, J. John; Foley, Malcolm (2000). Dark Tourism. London: Continuum. ISBN 978-0-8264-5063-0. OCLC 44603703. ^ Cooper, Chris; et al. (2005). Tourism: Principles and Practice (3rd ed.). Harlow: Pearson Education. ISBN 978-0-273-68406-0. OCLC 466952897. ^ Stone, Philip R. (1 July 2012). "Dark tourism and significant other death: Towards a Model of Mortality Mediation". Annals of Tourism Research. 39 (3): 1565–87. doi:10.1016/j.annals.2012.04.007. ^ Cohen, Erik H. (1 January 2011). "Educational dark tourism at an in populo site: The Holocaust Museum in Jerusalem". Annals of Tourism Research. 38 (1): 193–209. doi:10.1016/j.annals.2010.08.003. ^ Novelli, Marina (2007). Niche Tourism. Routledge. ISBN 978-1-136-37617-7. ^ R., Goeldner, Charles (2009). Tourism : principles, practices, philosophies. Ritchie, J.R. Brent. (Eleventh ed.). Hoboken, N.J.: John Wiley. ISBN 978-0-470-38213-4. OCLC 261135450. ^ Shapiro, Kenneth (11 May 2007). "TravelAge West – TravelAge West". Travelagewest.com. Retrieved 30 October 2012. ^ Salkin, Allen (16 December 2007). "'Tourism of doom' on rise". Nytimes.com. Retrieved 30 October 2012. ^ Lemelin, H., Dawson, J., & Stewart, E.J. (Eds.). (2013). Last chance tourism: adapting tourism opportunities in a changing world. Routledge. ^ Frew, E. (2008). Climate change and doom tourism: Advertising destinations 'before they disappear'. In J. Fountain & K. Moore (Chair), Symposium conducted at the meeting of the New Zealand Tourism & Hospitality Research Conference. ^ Tsiokos, C. (2007). Doom tourism: While supplies last. Population Statistics. ^ Hall, C.M. (2010). Crisis events in tourism: subjects of crisis in tourism. Current Issues in Tourism, 13(5), 401–17. ^ Olsen, D.H., Koster, R.L., & Youroukos, N. (2013). 8 Last chance tourism?. Last Chance Tourism: Adapting Tourism Opportunities in a Changing World, 105. ^ Jafari, Jafar; Scott, Noel (1 January 2014). "Muslim world and its tourisms". Annals of Tourism Research. 44: 1–19. doi:10.1016/j.annals.2013.08.011. ^ Compare: Gannon, Martin Joseph; Baxter, Ian W.F. ; Collinson, Elaine; Curran, Ross; Farrington, Thomas; Glasgow, Steven; Godsman, Elliot M.; Gori, Keith; Jack, Gordon R.A. (11 June 2017). "Travelling for Umrah: destination attributes, destination image, and post-travel intentions". The Service Industries Journal. 37 (7–8): 448–65. doi:10.1080/02642069.2017.1333601. ISSN 0264-2069. The result from the structural model suggests that destination attributes influence perceived destination image. Further, such tourists are likely to revisit or recommend Islamic destinations if their experience matches their perceived image of the destination. This implies that, while the religious characteristics of the destination remain important, destination managers cannot disregard the tangential, non-religious attributes of a destination which are crucial in order to satisfy more conventional tourist desires. ^ CAF Seminar on Africa and Global Tourism Prospects to the Year 2020: Challenges and Opportunities. World Tourism Organization seminar proceedings. Organización Mundial del Turismo. 1998. p. 124. ISBN 978-92-844-0279-3. Retrieved 20 December 2018. Mauritius has not been affected by Tourism Fatigue, that is workers tired of smiling or serious environmental degradation. ^ "Long-term Prospects: Tourism 2020 Vision". World Tourism. 2004. Archived from the original on 19 June 2004. ^ Lu, Jie; Lu, Zi (1 July 2004). "Development, Distribution and Evaluation of Online Tourism Services in China". Electronic Commerce Research. 4 (3): 221–39. doi:10.1023/B:ELEC.0000027981.81945.2a. ISSN 1389-5753. ^ Karanasios, Stan; Burgess, Stephen (1 March 2008). "Tourism and internet adoption: a developing world perspective". International Journal of Tourism Research. 10 (2): 169–82. doi:10.1002/jtr.649. ISSN 1522-1970. ^ "airports & tourists". Global Culture. 2007. 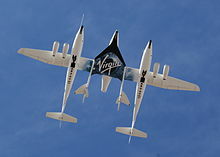 ^ "The Economic Impact of Commercial Space Transportation on the U. S Economy in 2009" (PDF). Federal Aviation Administration. September 2010. p. 11. Retrieved 5 May 2012. ^ a b UNWTO. "UNWTO Tourism Highlights" (PDF). UNWTO. Retrieved 2 May 2012. ^ Ritchie, J.R. Brent; Amaya Molinar, Carlos Mario; Frechtling, Douglas C. (2011). "Impacts of the World Recession and Economic Crisis on Tourism: North America". Journal of Travel Research. 49 (1): 5–15. doi:10.1177/0047287509353193. ^ Urry, John (2003). "Social Networks, Travel and Talk". British Journal of Sociology. 54 (2): 155–75. doi:10.1080/0007131032000080186. PMID 12945865. Hughes, H.L. (1989). Tourism and the arts. Tourism Management, 10(2), 97–99. Holder IV, Floyd William (2009). An Empirical Analysis of the State's Monopolization of the Legitimate Means of Movement: Evaluating the Effects of Required Passport use on International Travel (M.P.A. thesis). Texas State University-San Marcos. OCLC 564144593. Docket Applied Research Projects. Paper 308.